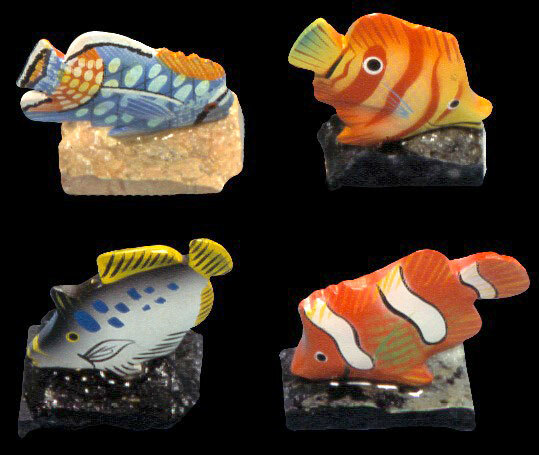 The wooden fish range from 2 to 9 inches. 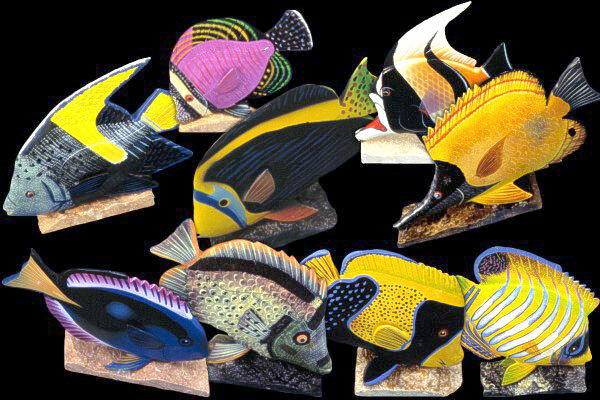 All are made of hand crafted wood in the shape of tropical fish and individually hand painted. 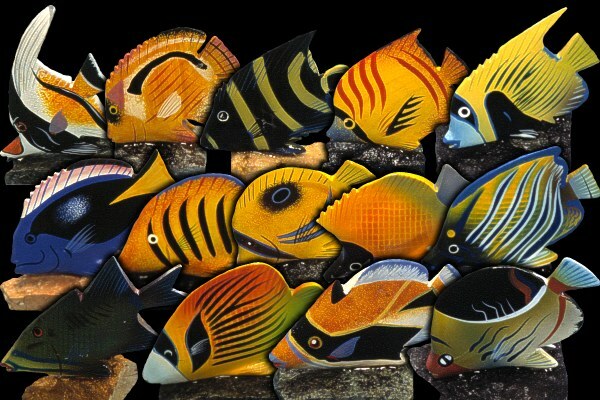 These unique tropical fish are sold assorted. They can be purchased with a hard stone base or without a base. Pictures show the assortment of the tropical fish design. The picture shows painted fish we have received over time. They are made by individual familes that live in the islands scattered across the Indo Pacific region. We do not have instock all the shown designs and it is not possible to tell you which designs or colors are currently available. Usually, the stock we have is limited to about 4 or 5 different designs and designs sometimes change. 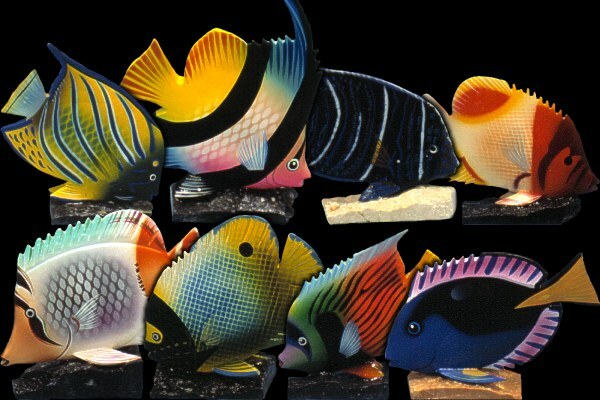 The painted fish are not replicas of a specific species.